Beep beep! 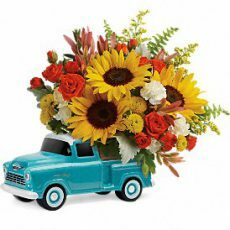 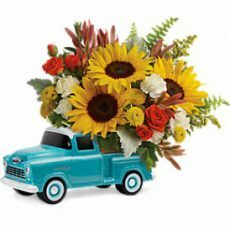 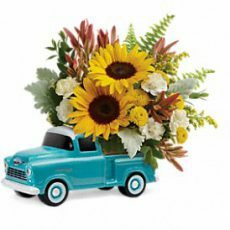 Dad’s sure to love this colorful Father’s Day bouquet of spray roses and sunflowers riding in the back of a classic Chevy pickup. 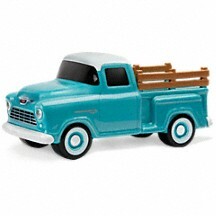 This hand-painted, hand-glazed ceramic design is a cool keepsake he’ll treasure forever! 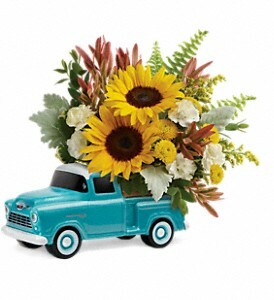 It’s one of the ways to commemorate the 100th Anniversary of ChevyTrucks. 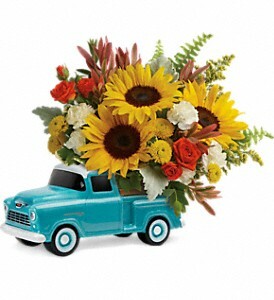 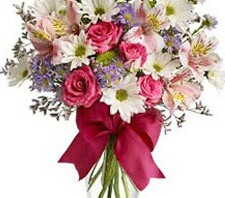 This bouquet includes orange spray roses, small yellow sunflowers, miniature white carnations, yellow button spray chrysanthemums, red leucadendron, solidago, sword fern, dusty miller, variegated pittosporum, and parvifolia eucalyptus.